Italian ride manufacturer IE Park, which for many years has been a key supplier of rides and attractions to locations throughout the Middle East, has announced the installation of three rides at one of the latest venues to open in Dubai, IMG Worlds of Adventure. As master-developer, theme park operator and manager, IMG Worlds chose three rides, The Ride of OOO (the monorail), Quinjet and Dino Carousel for the park, which were supplied by IE Park. 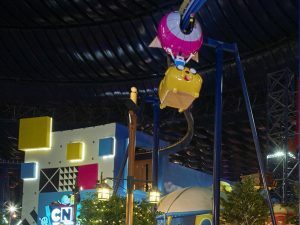 The Ride of OOO is located in the Cartoon Network zone and has a track height of 12m, featuring eight four-seat gondolas, which travel around a 292m long track. The Quinjet is a Telecombat ride featuring 12 airplane style vehicles, each with two seats, and utilizes a hydraulic and pneumatic lift system for each of the 12 arms. 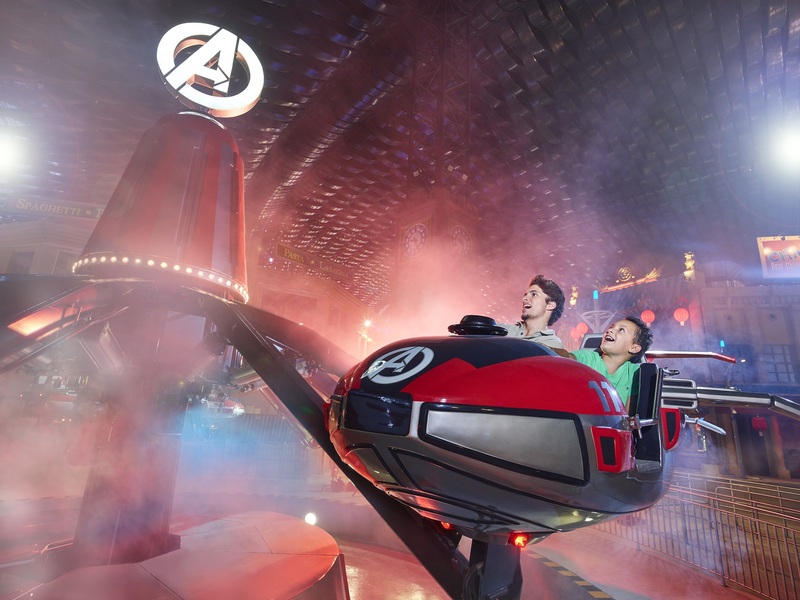 Themed on MARVEL’s Avengers, the ride is interactive and the winner of a ‘battle’ is declared after each ride. One of the airplanes is also equipped to allow access for guests with disabilities. 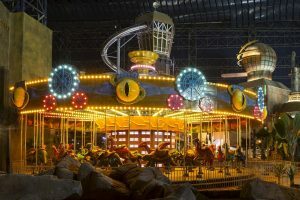 The 15m carousel supplied by IE Park is one of the company’s largest such rides and is suitably themed for its place in the Lost Valley – Dinosaur Adventure zone. The ride incorporates six different designs of hand carved dinosaurs on which guests ride. Additionally there is a bench for passengers with disabilities and very small children, providing a total capacity of 44 riders. Direct access to the ride by wheelchair users is also a feature. This is the only Dinosaur carousel in the world. IMG Worlds of Adventure is a must-visit international destination, bringing the best of family entertainment to Dubai’s growing leisure industry.